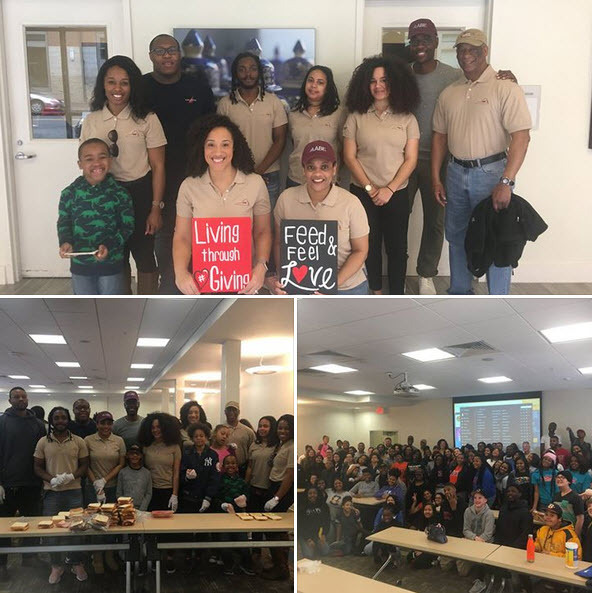 On March 17, 2018 AABE volunteers took part in the #HashtagLunchbag event, a humanity service movement dedicated to empowering and inspiring humanity to reap the benefits of giving through social media. Volunteers bagged lunches complete with messages of encouragement. The event had a goal of packing 500 lunches. A total of 1,300 lunches were packed and delivered to the Salvation Army where they were ultimately distributed to the homeless population in the Richmond community. Other groups involved included Sigma Gamma Rho, Virginia State University, Virginia Commonwealth University, Fresh Leaders, NAACP, YMCA, and more. The event grows larger and larger every year as more and more people want to get involved for a great cause.